The mild flavor of cod makes it a perfect choice for many baked fish recipes. 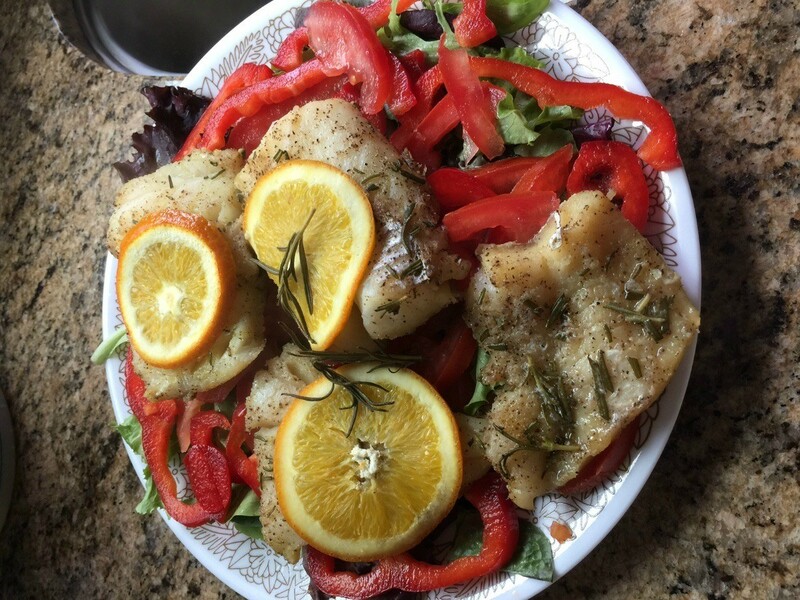 This page contains baked cod recipes. Okay, not the heart healthiest recipe in the world but it's tasty and easy and at least it's not deep fried. ;-) I highly recommend the packaged Good Seasons Zesty Italian salad dressing that you mix yourself for this recipe but you can substitute any seasoned oil and vinegar type dressing if so desired. Instead of serving with french fries, why not serve with the salt and vinegar chips you'll still have left instead? Preheat oven to 425 degrees F and coat a baking dish with cooking oil. Place the filets in salad dressing in a large glass bowl and marinate, covered in the refrigerator, for 30 minutes. Do not marinade longer or the fish will begin to break down and become mushy. Meanwhile, mix the cheese and chips together in large bowl or deep plate. Press the marinated fish filets into the cheese and chips mixture, coating both sides, place filets in baking dish, top evenly with any remaining cheese and chip mixture and discard the leftover marinade. Bake uncovered until the filets flake when testing with a fork, about 10 to 15 minutes, and serve with a lemon wedge per filet. Preheat oven to 450 degrees F and line a baking sheet with foil. Rub cod with 2 teaspoons of the olive oil, sprinkle with pepper, place on baking sheet, and bake until the fish flakes easily with a fork, about 15 to 20 minutes. Meanwhile, heat the remaining olive oil in a small skillet over medium heat; add the shallots and saute until just beginning to soften then add the tomatoes and cook, while stirring, until softened. Add the olives and capers and cook, while stirring, to just heated, about 30 seconds, remove from heat, stir in oregano and vinegar, spoon over the cod and serve. For fish lovers, go for it. Prepare the grill, or preheat the oven to 400 degrees F.
Arrange each cod fillet in the centre of its own large square of oil. Scatter over the ginger, scallions and garlic. Drizzle each piece of fish with a little soy sauce, vinegar and sesame oil, and sprinkle with a few red pepper flakes, if using. Pull the corners of the foil together and fold over the edges to make a tent around each fillet. Grill over medium-hot coals for 8 minutes until the fish is just cooked. Or place the fish bundles on a baking sheet and bake in the oven for 20 minutes. Serve the bundles whole if you wish to capture that aromatic moment when you open them; alternately, remove the fish from the bundles and transfer to warmed serving plates. Serve with rice sprinkled with chopped cilantro, if desired. 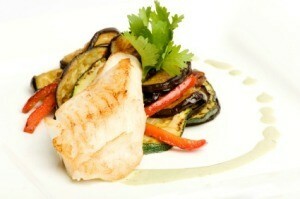 A delicious main course to try using cod fillets. Here's a delicious, lightweight dish; perfect for a healthy lunch or dinner. Place cod fillets in buttered casserole. Sprinkle crab meat on top. Pour soup over crab meat. Sprinkle Swiss cheese over top. Garnish with almonds. Bake, covered, at 350 degrees F for 1 1/2 hours. Melt margarine in skillet. Add flour, salt and pepper, stirring until smooth. Add milk gradually. Cook until chick, stirring constantly. Arrange fish in casserole. Cover with sauce. Top with cheese. Bake at 350 degrees F for 30 minutes. Preheat oven to 450 degrees F. In a small shallow bowl, stir together the bread crumbs, cheese, cornmeal, oil, Italian seasoning, garlic powder and pepper; set aside. Adjust the oven rack to the middle position and heat oven to 450 degrees F. Grease baking sheet with butter. Toss cracker crumbs and 1 Tbsp. parsley together in medium bowl. I'm back again. I thank all of you for your great help in the past. I'm looking for the recipe that the Cafeteria "Lubys" has for their baked cod. I loved it and they have closed here. It had a mayonnaise like base to it with crumbs of some sort on the top. I've tried to duplicate it but it is not right. Can anyone please give me their recipe for this great cod fish dish? I would love to have it and love the dish so much as well as my sister. God Bless and Thank You Again. Hi Angelheart -- how about this one? And try it with different brands of mayonnaise - it might make a difference! Sometimes you really have to work at getting something "just right". Preheat oven to 350°F. Coat fish with flour, shaking off excess. Spread mayonnaise evenly over fish. Sprinkle with lemon pepper and parsley. Place in baking pan large enough to hold in a single layer. Carefully pour water around fish to 1/8 inch depth, without wetting the toppings. Bake approximately twenty minutes or until fish flakes when tested with fork and top is light golden brown. Thanks for the recipe, I moved to Oregon from Texas and miss Lubys and my favorite baked white fish. Hi Angelheart, I too lived in Clyde. Small world. Mmm 3.5-4 cups, that's a lot of mayo! That's equivalent to almost the same volume of vegetable oil. Maybe just brushing the tops with melted butter before seasoning would work. Grated cheese too, don't forget that. (sharp Cheddar and/or Parmesan to taste) Brush on mayo afterwards. The result might be even better than the cafeteria version. Talk about a small world. I was born & raised in Abilene Texas and my great grandparents lived in Clyde. I have been looking forever for this recipe since I now live in the UK. I am trying it tonight. I worked for wyatts cafateria,we had the same basic recipie...only used Helmans mayo,and bread crumb topping was buttered toasted crumb with lemon pepper,lawrys season salt and parmesan cheese. I am looking for a recipe you had in a past flyer for cod which was baked in a casserole dish. Can you help? Editor's Note: I can't seem to find one, maybe one of the readers has a Cod recipe to offer. Re: Cod recipes. I live near "New Bedford" MA." The fishing capital of America! I will start to hunt for flyers in the markets. But you should look for "Portuguese" recipes etc. They are famous for cod recipes,and of all great seafood recipes. Keep my addy and drop me line soon! 2 In a small shallow bowl, stir together the bread crumbs, cheese, cornmeal, oil, italian seasoning, garlic powder and pepper; set aside. 3 Coat the rack of a broiling pan with cooking spray. Place the cod on the rack, folding under any thin edges of the filets. Brush with the egg white, then spoon the crumb mixture evenly on top. 4 Bake in a preheated oven for 10 to 12 minutes or until the fish flakes easily when tested with a fork and is opaque all the way through.